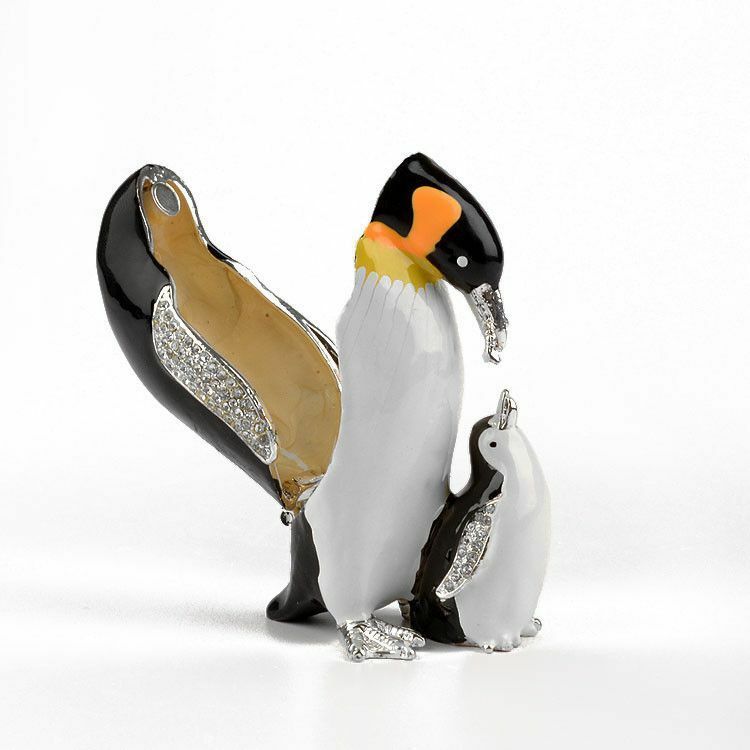 This adorable little penguin family will be content wherever you put them! 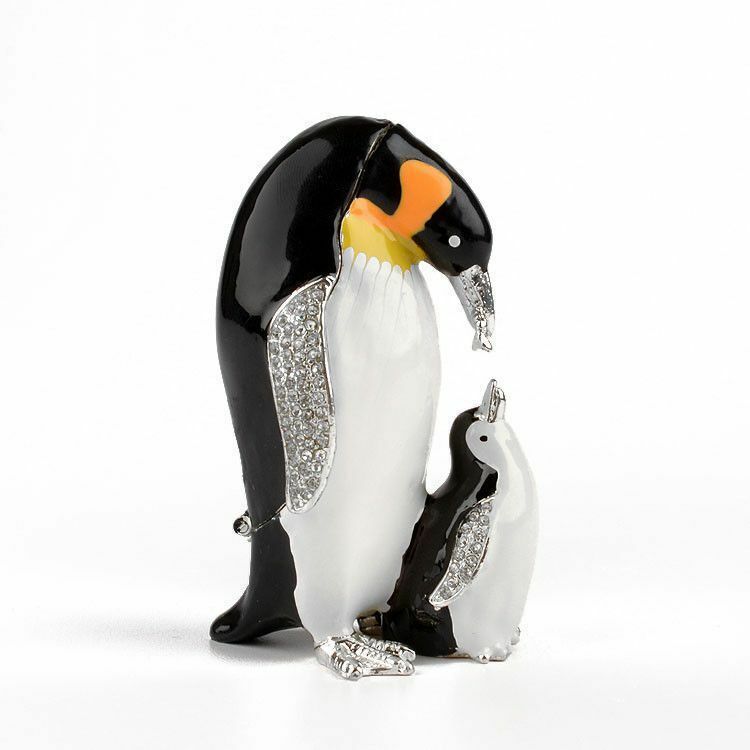 This penguin mom is in the middle of feeding her baby penguin. 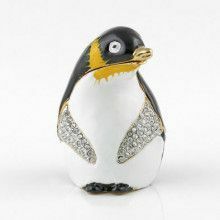 Each of the penguins are decorated with clear crystals. 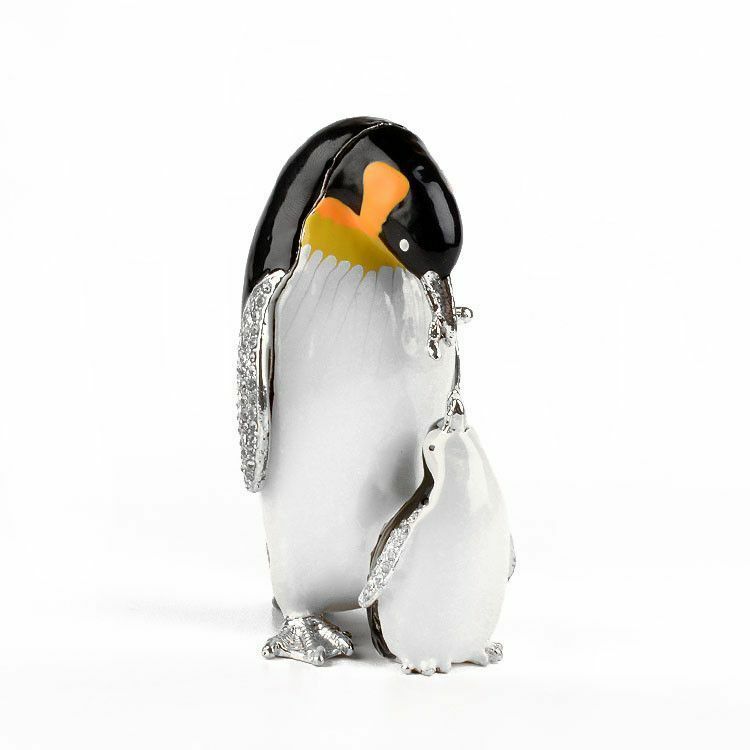 This particular penguin keepsake is about 3 1/2" tall and about 2" wide. 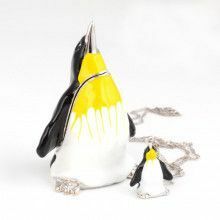 The large penguin opens up to reveal a hidden space that can be used for whatever you would like; jewelry, money, etc.